Cross Country club is held every Friday morning from 8.15am until 8.45am, the club is open to children in years 3, 4, 5 & 6. 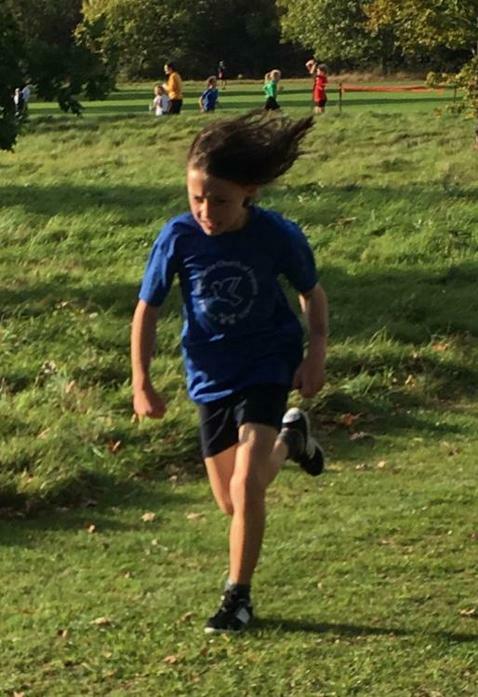 If your child would like to take part please complete the Cross Country permission letter (available from the office) and return the completed slip to the school office as soon as possible. Please ensure that Mrs Holgate (Parent) is on the school site before leaving your child at school. Children should arrive no earlier than 8.15am. The runners will leave school at 8.20am to start their run so please be on time. Children need to come to school in sports clothing and wearing trainers. Children will get wet and muddy on occasion so please make sure your child has a spare pair of socks and full school uniform to change into afterwards. In the event of heavy rain on a Friday morning please note that cross country may be cancelled at the last moment. Twenty-four pupils ran around the grounds of Somerhill School on Friday for the first fixture of the season. There were great team performances and some excellent individual runs to celebrate. Emily H came seventh, Molly came fourth narrowly missing a medal and Sophie R ran an impressive race to take first place. A great event in beautiful surroundings, well done to all those that took part. Many thanks to Lorna Holgate, Sophie Dean and Tara Davies for supporting the cross-country club and to all the parents that ferried children and cheered them on.